Building on my two previous posts on adverse childhood events (ACEs) this recent article, by Dr. David Sack, on overcoming tough childhoods is of special relevance to HSPs as we seek to heal from the wounds of our respective pasts. Highly sensitive people, as we know, experience traumatic events more deeply than those without the trait and may carry the residue of even a single ACE throughout our lives. Further, the anxiety and depression may be communicated and transmitted intergenerationally leading to a future generation plagued by trauma they never personally experienced. We HSPs, being deeply conscientious individuals with typically strong moral compasses, not only wish to overcome our ACEs and heal from the past so we may move forward as whole people, we often work very hard on our own children to ensure they do not endure ACEs. In my experience researching HSPs it is my feeling that half or more of us experienced ACEs that affect us well into our adult lives. As noted in the following article the fallout from ACEs may be extremely damaging throughout the life course. I invite those who are interested in this article to follow up by reading my article 8 Ways to Recover from Adverse Childhood Events, a response for HSPs. “Trauma experienced in childhood has a special ability to wound, especially when it includes emotional, physical or sexual abuse or neglect. The fallout (link is external) echoes through the years and causes negative consequences, such as higher risks of depression, anxiety, bipolar disorder (link is external), PTSD, obesity (link is external), behavioral problems, and health problems such as heart disease. One study (link is external) that followed hundreds of adolescents over time found that 80% of individuals who had been abused as children met the criteria for at least one psychiatric disorder at age 21. A troubled childhood can also lead a person to alcohol and drug use (link is external) as a way to numb the pain or, conversely, to feel something. Studies (link is external) estimate that up to two-thirds of patients in substance use treatment have childhood histories of sexual, emotional, or physical abuse. There is much to overcome with a troubled childhood, but help is available, and a thorough understanding of what hinders healing can aid the recovery process. Knowing your ACE is the first step toward better understanding how adverse childhood events may be affecting your life. Taking the self-test is an awareness raising process in and of itself, as I found when carefully considering each question followed by reflecting on my childhood. Realizing the source of our pain may be a long process with each of us possessing varying levels of psychological resistance. Our society also unfairly conditions us to “move beyond” traumatic events without adequately addressing them. Life, with all of its demands on our time also requires of us a focus on the here and now. It’s no wonder so many people with ACEs never adequately address the impacts of tough childhoods. “Birds of a feather flock together.” How many times have we heard that? In the case of addictions it can be all too true with an almost unbreakable social bond between addicts. Individuals with addictions may be too caught up in the lifestyle required of an addict and the associated financial, legal, and familial consequences to ever reach a point of introspection where awareness is possible. Do HSPs become addicts? Of course! There are no statistics, but HSPs suffer from depression, anxiety, and addictions just like anyone else with resulting negative implications for realization of potential and well-being. It’s extremely important that we not presume to lump all highly sensitive people together, even though it is human nature to seek out commonalities, because, in fact, we are all quite uniquely individual with highly individualized life paths. Personal choice becomes a decisive factor on this point as some people succumb to the pain of trauma. As covered in my blog post 7 Ways Childhood Adversity Changes Your Brain (a response for HSPs) and covered again above there are real biological changes that may occur in the brain and body of HSPs with ACEs. These changes, in some cases lack of connectivity in the brain, represent real damage that may affect how we deal with stressful situations and life in general. The damage may be partially to largely reversible, but does require a great deal of personal effort on our parts to understand and appreciate how deeply we may be affected by ACEs. “Often all that remains is a floating sense of anxiety.” That anxiety may be quite limiting in our professional, personal, and familial lives. Who wants to be accompanied by a “floating sense of anxiety” with nebulous roots? Yet, if we fail to honestly do the work on ourselves and sort out our ACEs as best as we can we resign ourselves to living within a cloud of fear and risk passing that down to our children. Closure can be extremely elusive especially if we wait until mid-life to begin the healing process. People forget what they’ve done as time obscures their actions and details fade. Abusers may be unwilling to even acknowledge they, in fact, were abusers as they resort to culturally accepted notions of discipline and expectations of parents, caregivers, and others in past generations. Often the people who hurt us the most are already old and pale examples of who they once were and seem less threatening in their declining years. For those of us who have lost a parent early in life, myself at 15, the sense of loss may remain throughout life with no chance to move beyond the relationship status we experienced when the individual passed away. The healing process, thankfully, is not based on having to confront anyone from our pasts. We are capable of self-healing and reinvention without any such requirement. Ultimately closure will depend on how well we are able to come to terms with individuals and situations involved in our ACEs and place them in a context. When our self-esteem is damaged so early on we often feel inadequate, unworthy, unloved, even worthless. When we are in such a state finding approval in others may be easier and more immediately more gratifying than learning to love and value ourselves. Self-compassion is self-love. Numbing ourselves to further hurt or injury is a protective instinct, but is dysfunctional when we suppress our deep sense of empathy, one of the strongest aspects of sensory processing sensitivity. If there’s one issue that precludes HSPs from engaging in any meaningful dialog about their ACEs it is likely emotional numbness. As mentioned in the quote being able to access the emotions for healing requires that we open ourselves to feeling. Without feeling we cannot be self-compassionate, self-loving, or be free to find forgiveness or true compassion for imperfect, illogical, unfeeling others. The inner voices are many in the minds of HSPs! Many of us have extremely rich inner lives and are very innately creative, curious, and aware of ourselves to an uncomfortable degree. For those of us who experienced ridicule, degradation, or abuse at the hands of others we often find ourselves having to challenge our feelings and thoughts of low self-esteem, low self-worth, and pessimism. This is a real and significant obstacle to overcoming ACEs and finding relief from their limiting effects. As mentioned below any or all of these 8 obstacles to overcoming a tough childhood do not preclude one’s ability to begin the deeply personal work of examining our past. There is a time and a place that is appropriate for each of us with ACEs to begin this process. Most of us are likely too involved with the daily demands of life and do a good job of obscuring or minimizing our pain, but it is still there and resurfaces at inconvenient times (such as with the impending holidays), yet the potential benefits to our health, well-being, and ability to function in the world are well worth the effort. While each of these scenarios challenges healing, none precludes it. For many, treatment and therapy can dramatically improve quality of life—among them, techniques such as cognitive behavioral therapy (link is external), which can change negative thought patterns, and Eye Movement Desensitization and Reprocessing (EMDR), a form of psychotherapy that can help a person retrieve, process and resolve past traumas. Additional techniques and medications are on the horizon as research increases our understanding of trauma’s effects on the mind and body. We may one day, for example, be able to simply block bad memories associated with trauma, research (link is external) suggests. Original article may be found at https://www.psychologytoday.com/blog/where-science-meets-the-steps/201505/8-reasons-its-so-hard-overcome-tough-childhood. 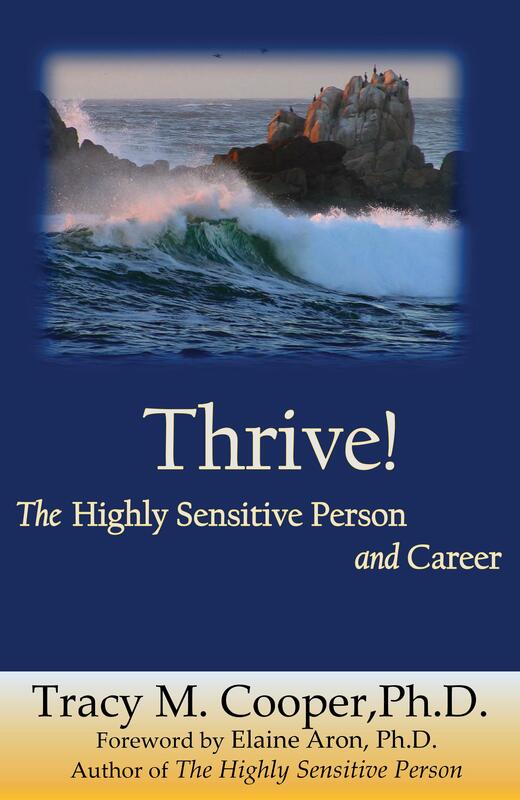 Tracy Cooper, Ph.D. is the author of Thrive: The Highly Sensitive Person and Career, in which he explores, among other aspects, the role of supportive and unsupportive childhoods on career.